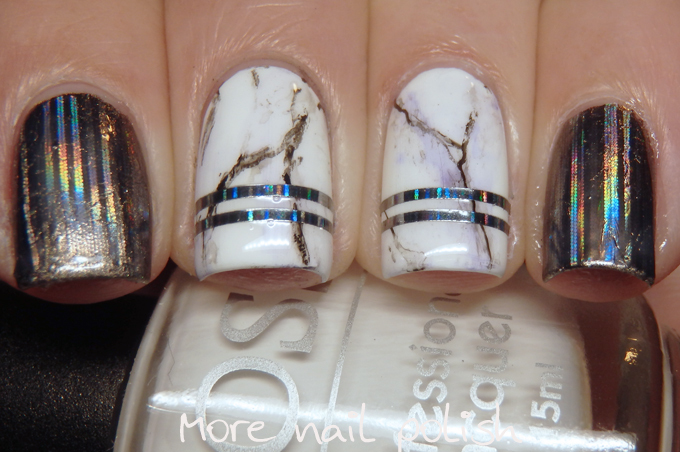 Like most of the other Digital Dozen ladies, I also attempted a freehand stone marble design for this weeks prompt. I've wanted to try a stone marble design for ages and it's always great when a challenge prompt brings that opportunity to the fore. 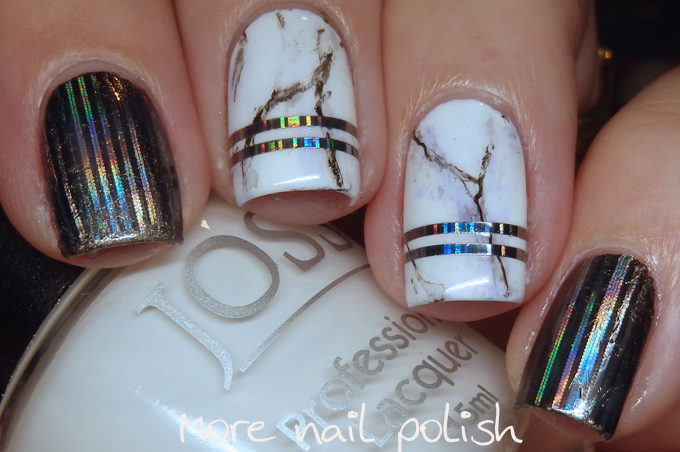 Instead of doing all my nails with the marble design, I chose to mix it up with some charcoal holographic nail foils. 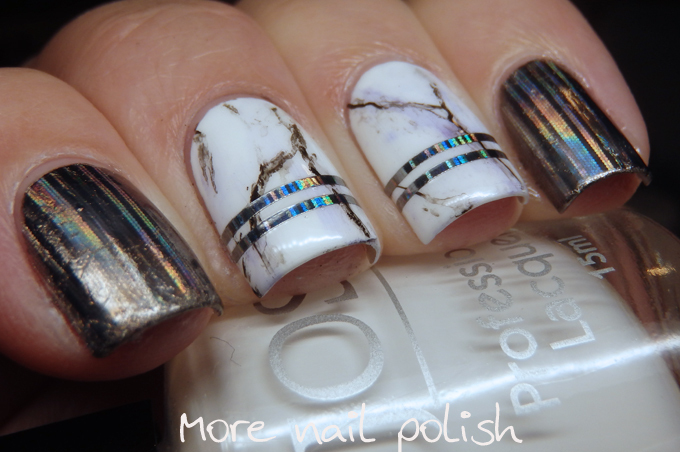 I recently purchased some new nail foil glue and wanted to try it out. Previously I had used a foil glue that applied very thin, and over black polish it make it look blue. I've been searching everywhere for a similar glue and not found anything. 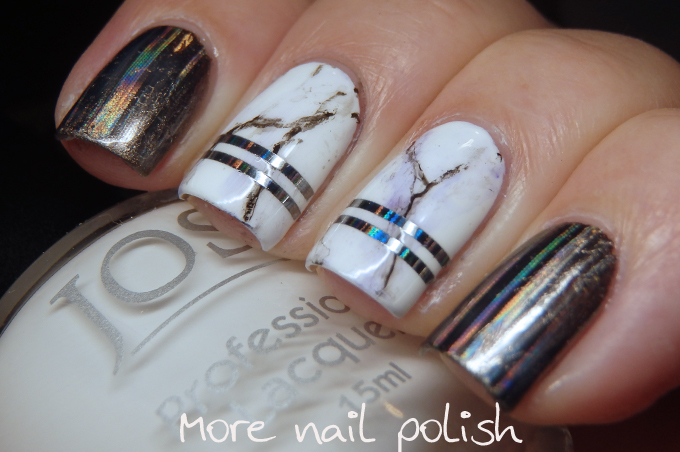 I tried the foil glue from maniology, and despite the excellent reviews it has on it's site I found it horrible to use. It took a billion years to dry, and actually never fully dried, as my nails were sliding off the next day. This glue was one I got off ebay. It's similar to the maniology one in that it is a white glue, not blue. I let it dry for 15 minutes and managed to get a decent application. But still, no where near as good as the old glue I used to have. I also recently bought a bottle of 'Best glue ever', which apparently if you water down at 50% works really well. So I'll test that out and report back. If you happen to know where I can get some of that blue looking foil glue in Australia, then hook a girl up will you :).